We had a really nice, event-filled week-end. It was my cousin's Bar Mitzvah, so we attended synagogue on Friday night followed by a lovely dinner. My cousin did a GREAT job leading the hymns and sang beautifully. Soren loved synagogue! 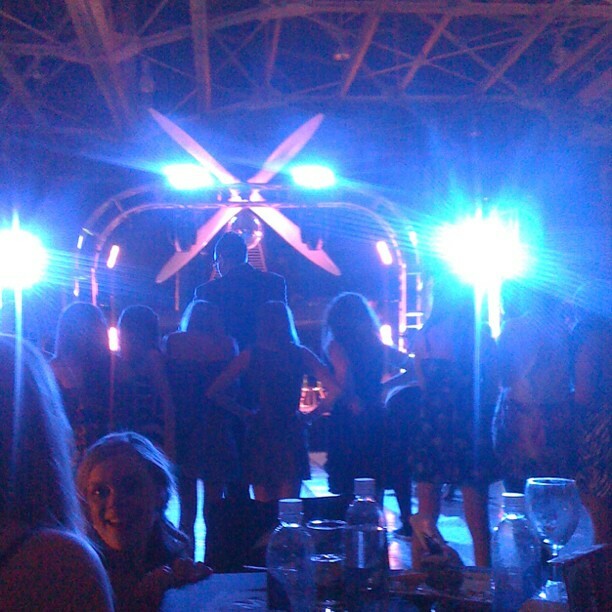 He really enjoyed watching all of the people singing, and there were lots of people interested in him which he always likes. We were really lucky to be able to enjoy the dinner, as it started around 8pm which is past him bedtime, normally. We were shocked that he fell asleep in his carseat, which we then tucked in under the dinner table. Now, if only we had thought of this trick months ago!! 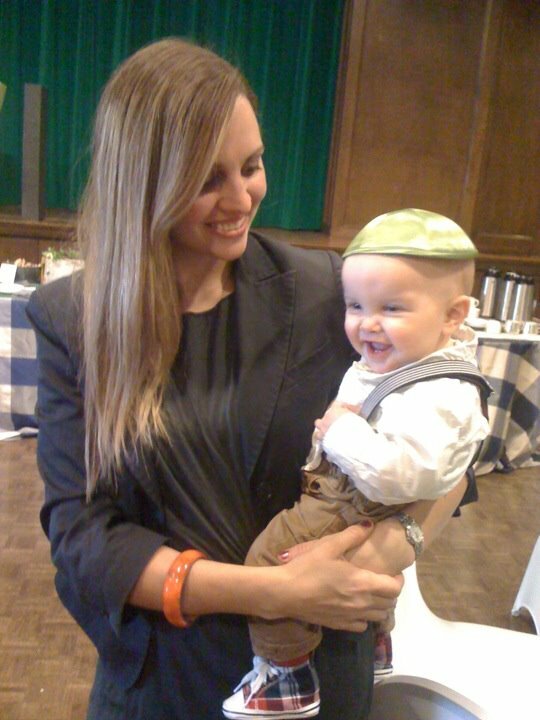 Here is Soren at the synagogue on Saturday morning, in his little Kippah. Not a great photo, but it's Soren asleep in his carseat, in the middle of a night-clubish atmosphere. 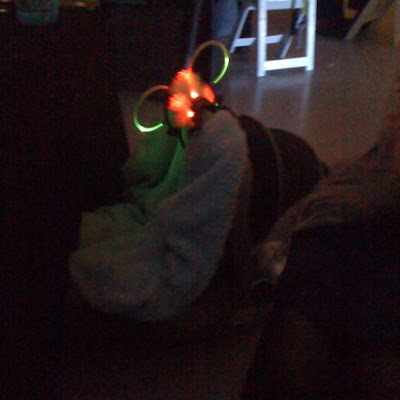 Someone added some florescent lights to his seat to make him a little more festive! Today I opened up my purse to discover 3 HUGE bags of candy I had taken from the candy bar. I made two trips, and convinced Tyler to come with me once and fill up a bag for himself (me). Look at all those goodies! Here are a few other's from the week-end. 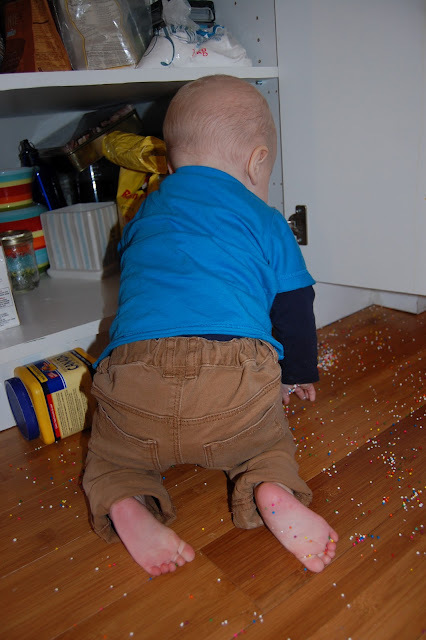 Soren got into the pantry and spilled sprinkles everywhere. He was in heaven! Here he is in his Grandma's studio, chatting with Hudson the Bear. His favourite toy at his grandparents, a talking radio/cell phone. Me, getting ready for dinner on Friday night. 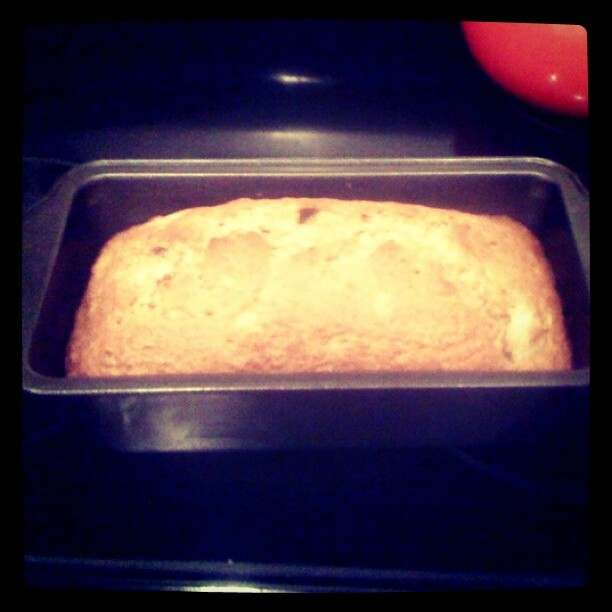 And last but not least, I just pulled out a loaf of banana bread from the oven! I love having fresh baking to start the week with. Aww I can just picture him asleep under that blanket. It's so surprising how babies can just fall asleep with a lot of loud noise.